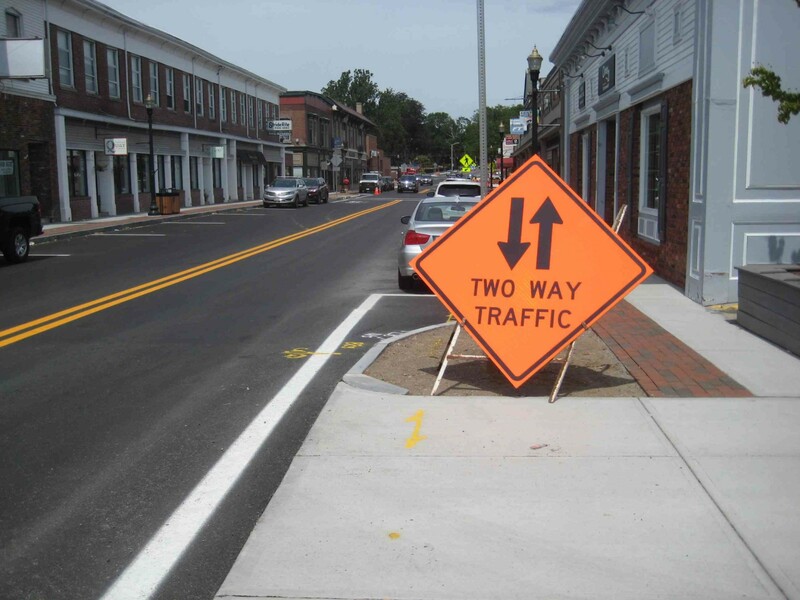 It took a bit longer than originally expected, but two way traffic has finally become a reality in Downtown Franklin, MA. 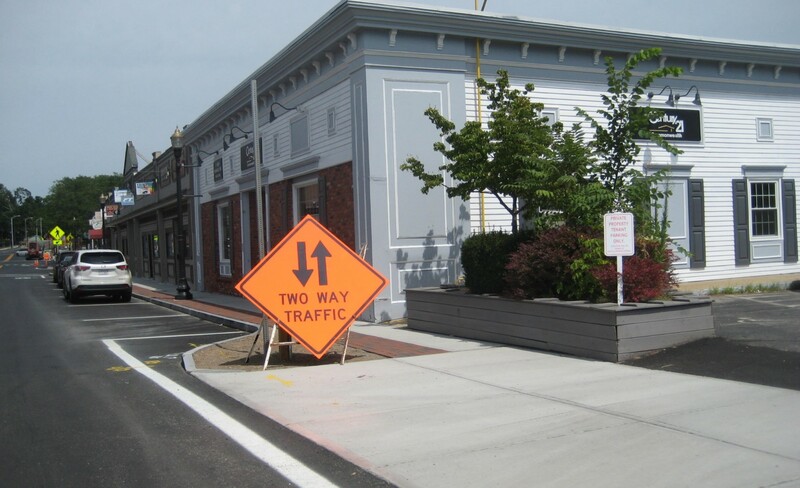 The change in traffic patterns is part of an ongoing $7M+ road and streetcape improvement project aimed at transforming Franklin’s Downtown area. The goal is to make Downtown Franklin more shopper and pedestrian friendly. 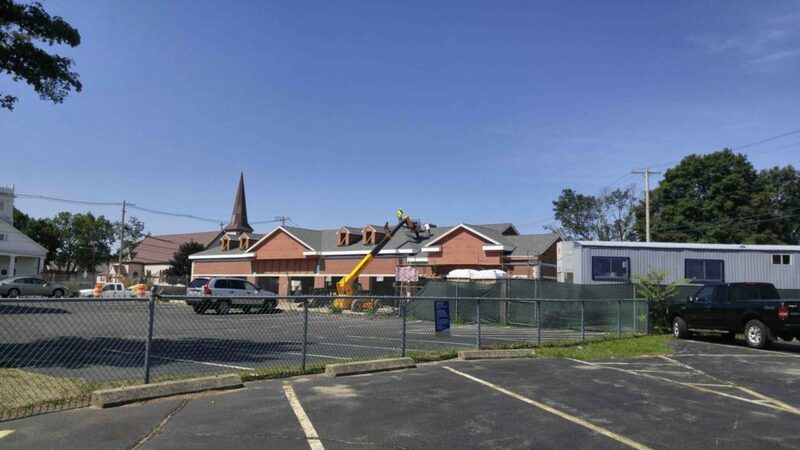 The work coincides with the development of Horace Mann Square, a new 7,000+ sq ft shopping complex currently being built at the corner of West Central and Emmons Streets. 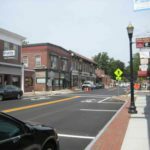 Change can be difficult to adjust to, and Franklin residents are faced with adapting to some major alterations in how vehicles get to and through the heavily trafficked Downtown area. 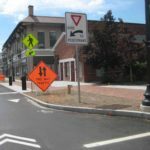 While these changes enable drivers to enjoy more convenient travel across Downtown Franklin, they also create at least a couple of potential traffic trouble spots for the unwary. So to help ease the adjustment process, below is an early take on the most important routing changes to which you’ll have to become accustomed. Not only can you now travel south on Main Street, you can make a right turn from Main to West Central Street. 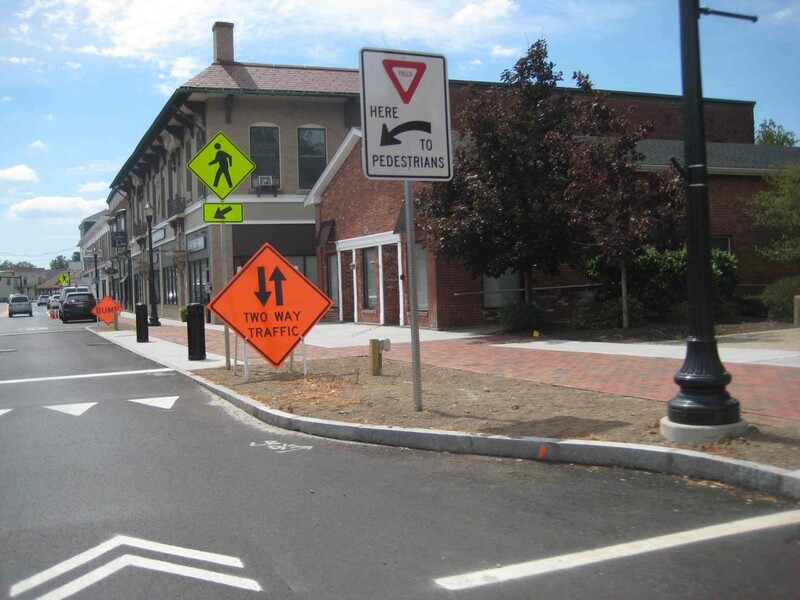 This reverses the former direction of traffic on this very well know Downtown turn lane! 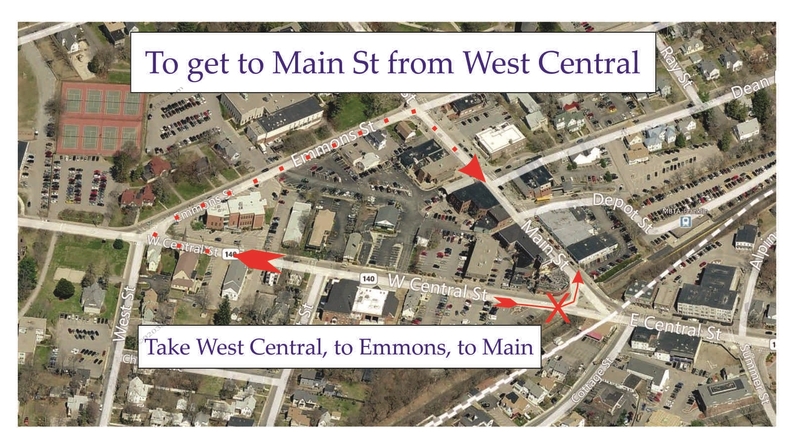 However, since you now can turn right from Main Street onto westbound West Central Street, it only makes sense that you can no longer turn left onto Main St from the eastbound lane of West Central Street. Seeing the new traffic flow on this turn lane can be disorienting to drivers on West Central Street; this is the biggest potential trouble spot to be aware of with the reconfigured traffic flow in the Downtown area! Since you can’t turn left onto Main Street from eastbound West Central Street any more, it would seem to make sense to simply drive a 100 ft or so further east on West Central and make a U turn onto Main as you near Cottage Street, right? You can’t do that . . . No U turns allowed! 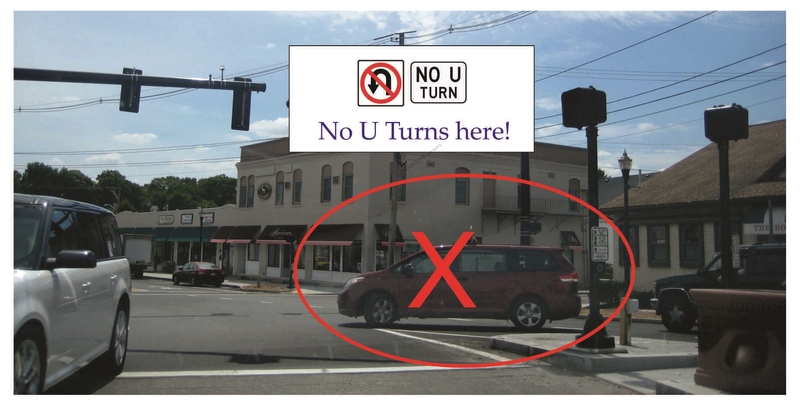 So avoid getting into trouble – don’t attempt the U turn that the van in the photo above was caught making recently! How do you get from West Central Street to Main Street? Simply head west on West Central, turn right on Emmons Street (that’s allowed now) and then turn right on Main – easy! 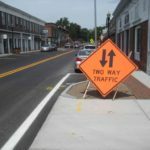 If you’re feeling aggravated or uncertain about how to deal with the new traffic flows in Downtown Franklin, you probably have a lot of company. 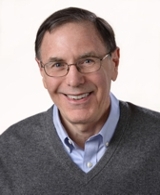 Just keep in mind that change can be challenging, but often proves very beneficial. 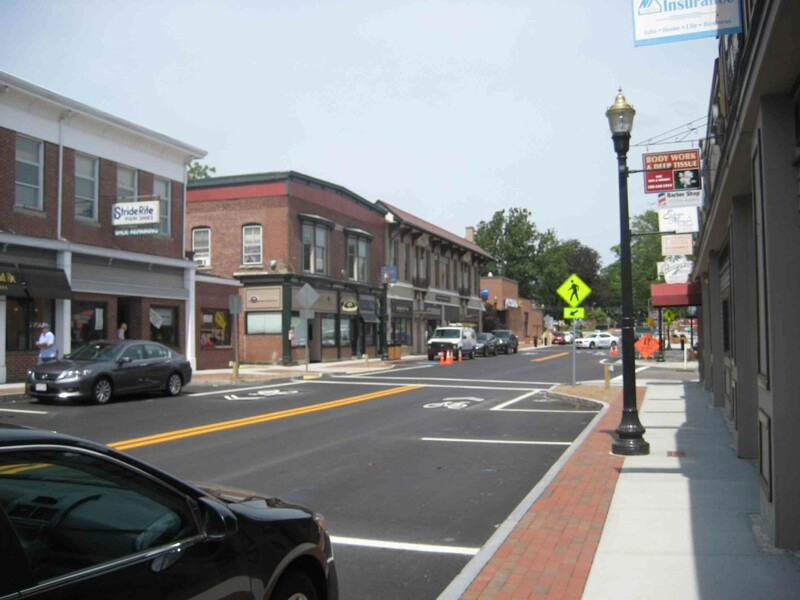 I suggest that over time, we’ll get used to the new traffic flows in Downtown Franklin, Massachusetts. Time, and some better directional signage that seems sure to be on tap, will make dealing with the new Downtown 2 way vehicle routing just like second nature!